including blind and partially sighted people – from discrimination. 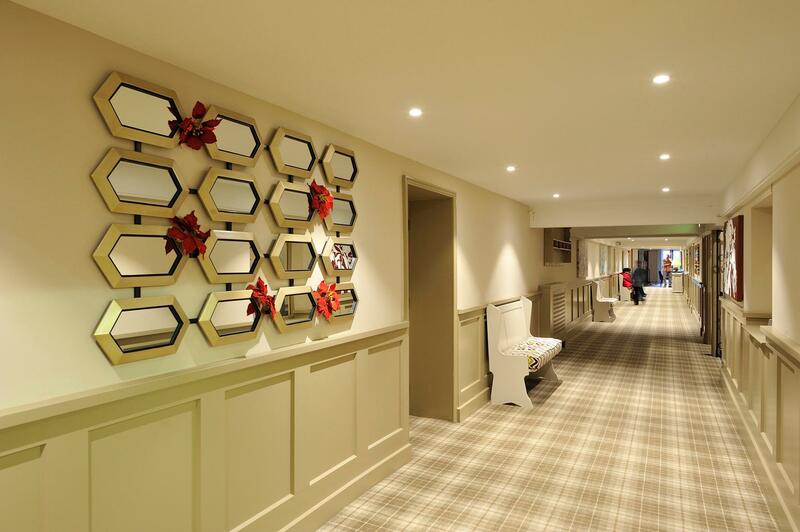 The Olde Barn Hotel take their responsibility as a goods, service and facilities provider seriously and have taken steps to ensure compliance with the Disability Discrimination Act 1995, and the rights of access up to and including October 2004. The 1995 Act defines a disabled person as someone with “a physical or mental impairment, which has a substantial and long-term adverse effect on his/her ability to carry out normal day-to-day activities”. As from October 2004, where a physical feature makes it impossible or unreasonably difficult for disabled customers to make use of a service offered to the public, service providers will have to take measures, where reasonable. Parts of the hotel building date back to the early 1800’s and although the building is not listed there are some factors relating to it where there is an ongoing challenge in complying with the act. However, where there are no restraints we have been able to make significant improvements to the property. Phase 3 of our building programme which was completed in March 2007 was designed to exceed DDA compliance with lift access to all floors within the property. Our rule of thumb for accessibility has been the “push chair with a baby” test and we have identified areas where this is clearly not possible without the assistance of staff. Of our 5 meeting rooms the Marston and Hougham suite have limited access as they are built in the hay loft of the Barn conversion. Unfortunately they do not have sufficient space to install a ramp and the access to these rooms is via three small steps. These rooms are the only meeting rooms where staff assistance may be required if clients book these rooms. Generally though, we allocate ground floor conference suites and meeting rooms to groups with delegates who have disability impairment. Our disabled bedrooms are on the ground floor as are our two main conference suites. 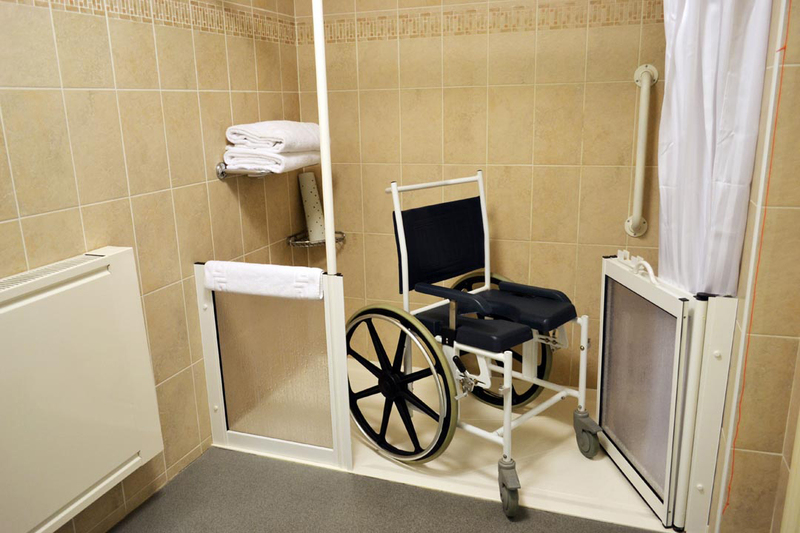 Our adapted disabled bedrooms have been designed with strobe lights, audible fire alarms, emergency bedside and bathroom pull chord and “wheelchair drive in” showers. We have a portable hearing induction loop located at reception. We have modified the changing facilities in the pool area to allow wheelchair access in both the Ladies and Gentleman’s changing rooms. It is our duty to ensure our staff, are aware of the Disability Discrimination Act and our responsibilities as a provider and their duty as an employee. We have implemented a continual assessment programme, taking into account the changing roles and duties of employees. To this aim we have an ongoing training programme with our employees so that they can meet the many challenges that our disabled customers have to face and ensure that their experience in the hotel exceeds their expectations at all levels. This process of staff training is continuous and on going to meet our own drive to improves our standards. We aim to inform our guests of facilities that are in place through our brochure and this web site as well as detailing physical barriers. Staff will assist guests by reading material produced by The Olde Barn Hotel for guests unable to read. We also have a portable hearing loop available for use by our hearing impaired guests. We have an on going and continuous improvement programme and as and when we improve the property we will ensure that consideration is always given to our disabled guests. With the completion of our new 50 bedrooms we have installed a passenger lift, giving full access to the hotel at all levels. Inevitably with an old building some areas will be less accessible in the short term and we have prioritised our financial resources to make changes to the hotel that will achieve the best benefit for a whole range of disabilities. 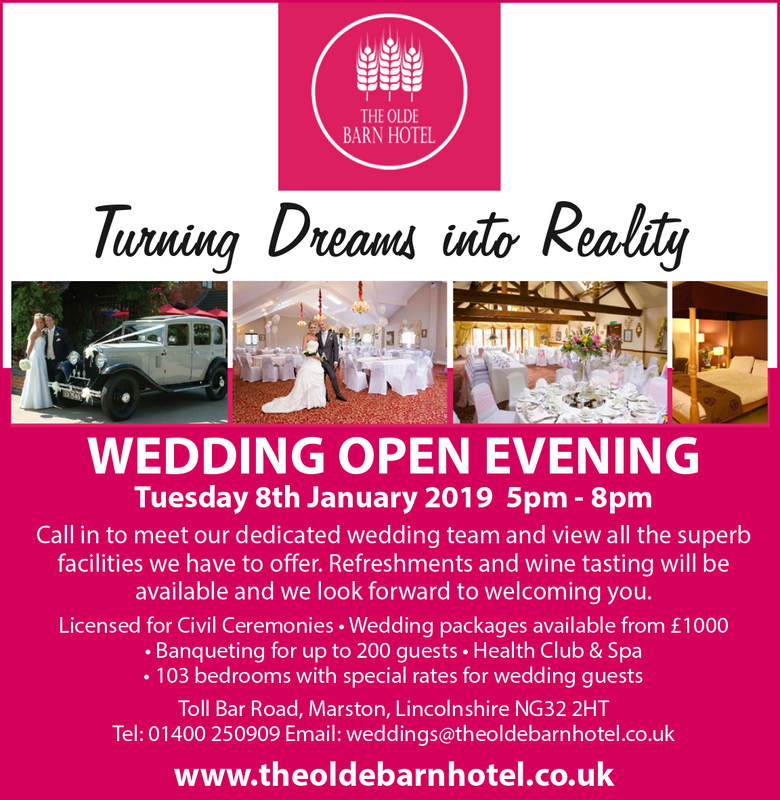 However, should you have any concerns or wish to report any failings we would ask you to contact Andrew Borland, our General Manager by telephoning 01400 250909 or emailing Ab@theoldebarnhotel.co.uk. To ensure staff receive the appropriate training on the latest Disability Discrimination Act and the final rights of access October 2004. When replacing signage we will ensure new signage is clear and complies with the Act. Ensure all hazards are removed once brought to our attention, or highlighted as a hazard.